Adam Sheppard was repeatedly recognized as a "Rising Star" in the area of criminal defense in Super Lawyers magazine and in Chicago Magazine, (only 2.5 percent of lawyers in Illinois receive this honor and the selection process is based on peer review, see http://www.superlawyers.com/illinois/lawyer/Adam-J-Sheppard/fad6e910-e2d2-4c8d-8a8e-ea887ca3997f.html.) He was also honored to be named an "Emerging Lawyer" by the Leading Lawyer magazine group, a distinction only bestowed on 2% of lawyers under the age of 40. See http://www.leadinglawyers.com/meth.cfm. Adam served multiple terms as co-editor-in-chief of the Young Lawyers Journal/CBA Record Magazine and continues to serve on the editorial board of the Chicago Bar Association. Adam has been selected as a "panel" attorney in federal court, U.S. District Court, Northern District of Illinois — a private attorney deemed qualified for appointment to represent criminal defendants in federal cases pursuant to Criminal Justice Act. Adam is a former officer and director of the Young Lawyers Section of the Chicago Bar Association; he recently served of the director of the criminal law committee for the YLS/CBA. 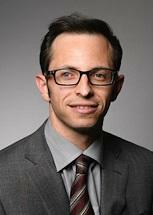 Adam has authored over 18 legal articles which have been published in respected legal periodicals. See Publications Below. Adam has taught continuing legal education seminars for the CBA and Decalogue Society on state and federal criminal law issues (such as the seminar he led on combatting mandatory minimum sentences); he has been a guest lecturer at John Marshall Law School on search and seizure issues in the school setting. He has lectured at cyber-bullying seminars. He has been interviewed by several of the major news outlets regarding important criminal cases such as the Dennis Hastert sentencing or the Dante Servin/Rekia Boyd Fatal Police Shooting. Several of the firm’s cases have also received national media attention. See “Press” section of this website. Prior to joining Sheppard Law Firm, P.C., Mr. Sheppard gained extensive trial experience with the Cook County Public Defender's Office where he was honored to be the recipient of the Jack Carey Merit Award Scholarship.